At the end of a year, we tend to look back to recap and to remember about all the changes took place in the surrounding Universe as well as all the changes in our personal life. For the PANIVERSE, the “Handpan Universe” 2016 was a very intense year it seems to me. So many beautiful things happened. Remember all the wonderful gatherings and festivals that gave the handpan community the opportunity to meet, to spend good times together and to share our love. And to share our HANDPAN passion. Personally, i cant wait for the next summer to join as many as possible gatherings – and i am already excited about all those beautiful souls i will meet there ! 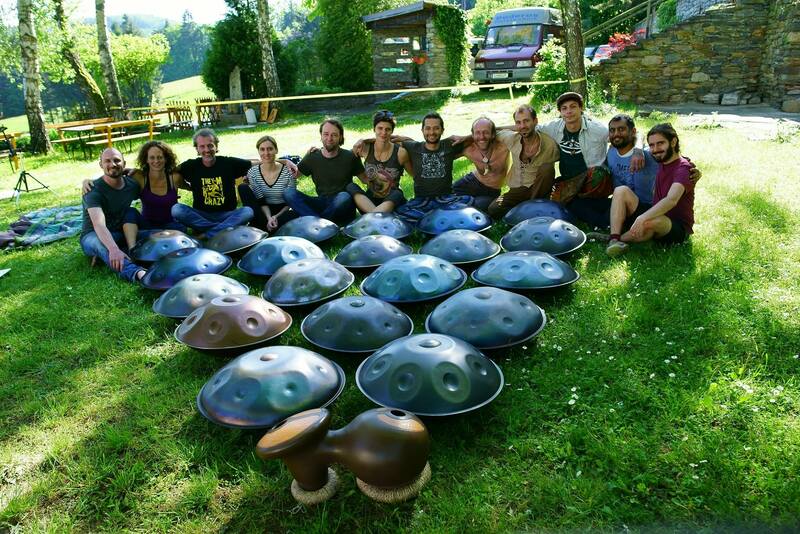 Check out the dates of upcomming Handpan Events at the PANIVERSE Event Calendar. What has evolved over the year 2016 is that more and more manufacturers are starting to offer their mostly good instruments at fair prices. I like to see this developement and i really hope, that with this groth, the balance of supply and demand gets harmonized. Then hopefully also the balance of quality and pricing will find a fair level. Since the “HandPan Market” right now really grows, i fear, that much more cheaters will show up to try to cut off a big piece of this lucrative cake. I really hope the best – for the people are interested in getting their own instruments, to not get scammed – and for the “makers” who think that they can make instruments, to open their ears 🙂 – and find back into learning to make HandPans befor they try to make money with it ! The Handpan Universe, the PANIVERSE is inhabited by humans. And people are always error-prone and faulty. We are now no gods. But what we can do as humans is to care about each other, to give a helping hand when needed and at least try as good as possible to live together in peace and harmony. And we need to practice this again and again, every single day to grow – and to make this planet we live on at least a little better place ! See and listen – how beautiful it can be, to bring things together with love . The Raga Sitar hugs the Flamenco Guitar….. ENJOY ! ← PHOENIX HANDPAN CARE – a New Product to protect your HandPan in best way !